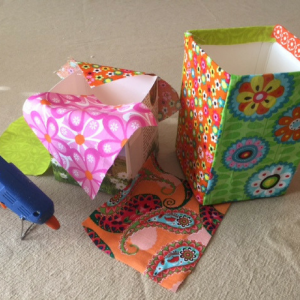 I love spring flowers, so I wanted to make my own flower pots to showcase them. 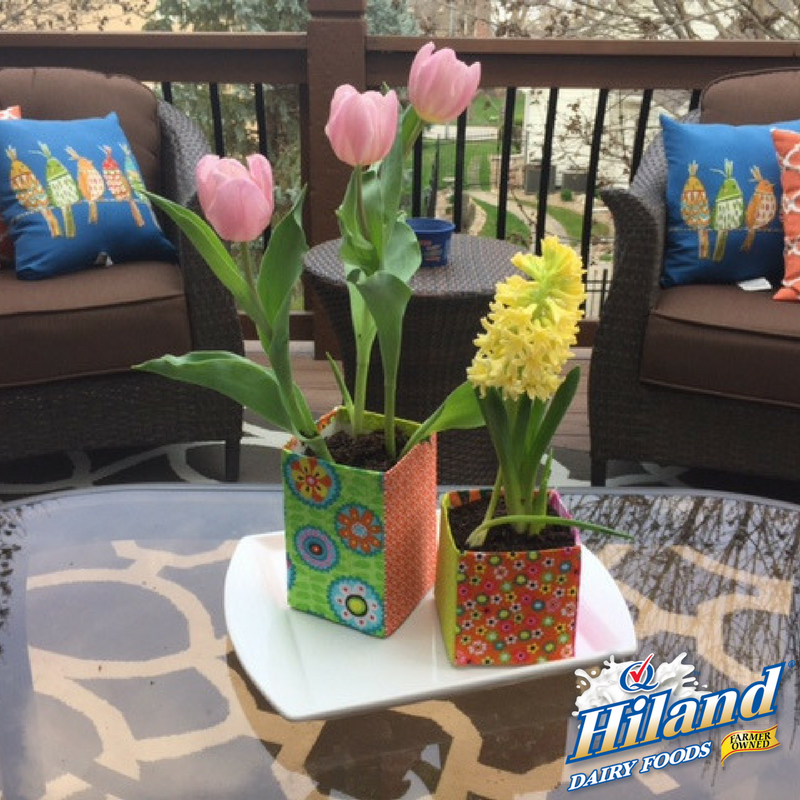 Using repurposed Hiland Dairy Organic Milk cartons and some extra fabric I had on hand from the Milk Carton Storage Boxes I created earlier this month, I was able to create these flower pots in no time! 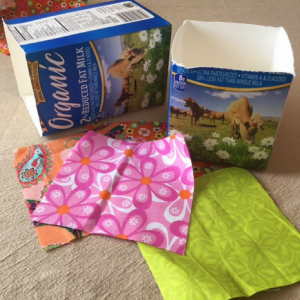 Rinse cartons with warm, soapy water. Allow to dry completely. 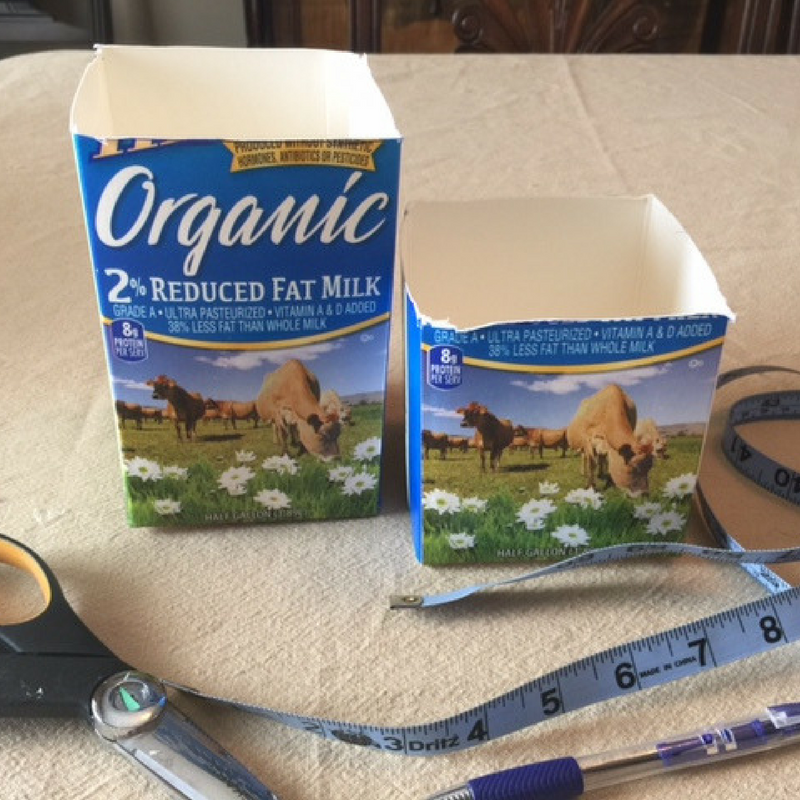 Cut the tops off of each carton, making one carton 6 inches tall and the other carton 4 inches tall. Using scissors, cut fabric to fit each side of the two cartons. 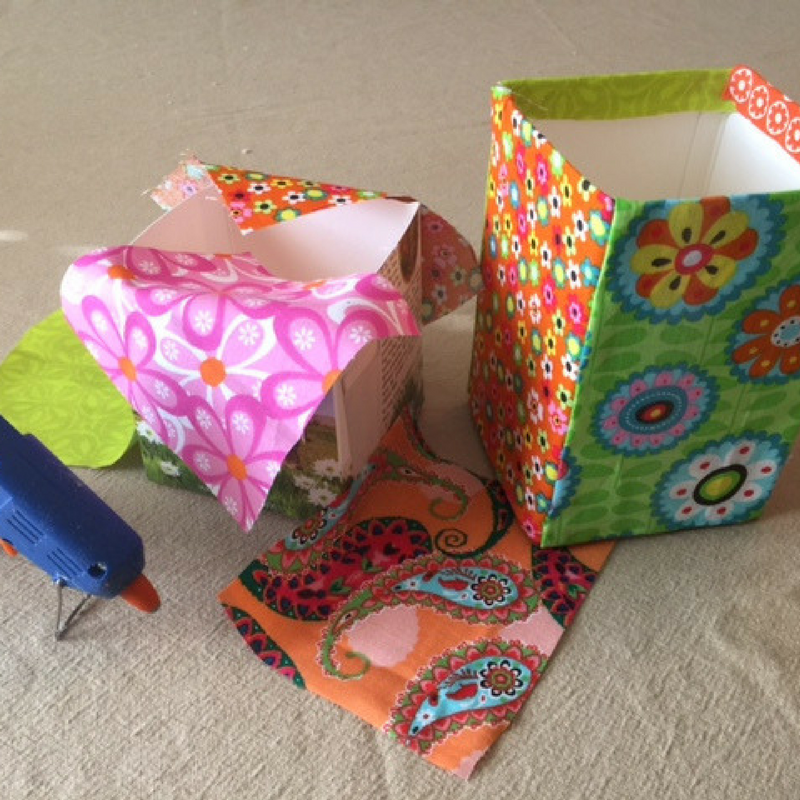 Using a glue gun, adhere each piece of fabric to each side, making sure your fabric pieces fold over the top and slightly inside the carton opening. Allow glue to try completely. 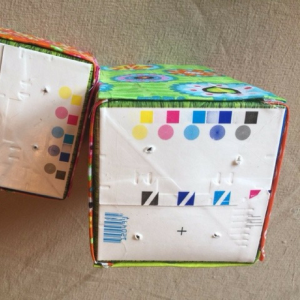 Tip: If you don’t want to glue these using a hot glue gun, you can use adhesive spray instead. Poke a few small holes in the bottom of each carton to allow for water drainage. 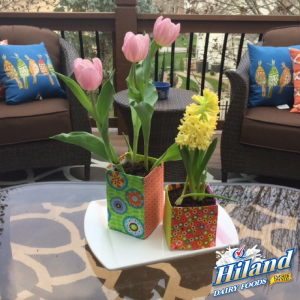 Plant your favorite spring flowers in each pot and water as needed. 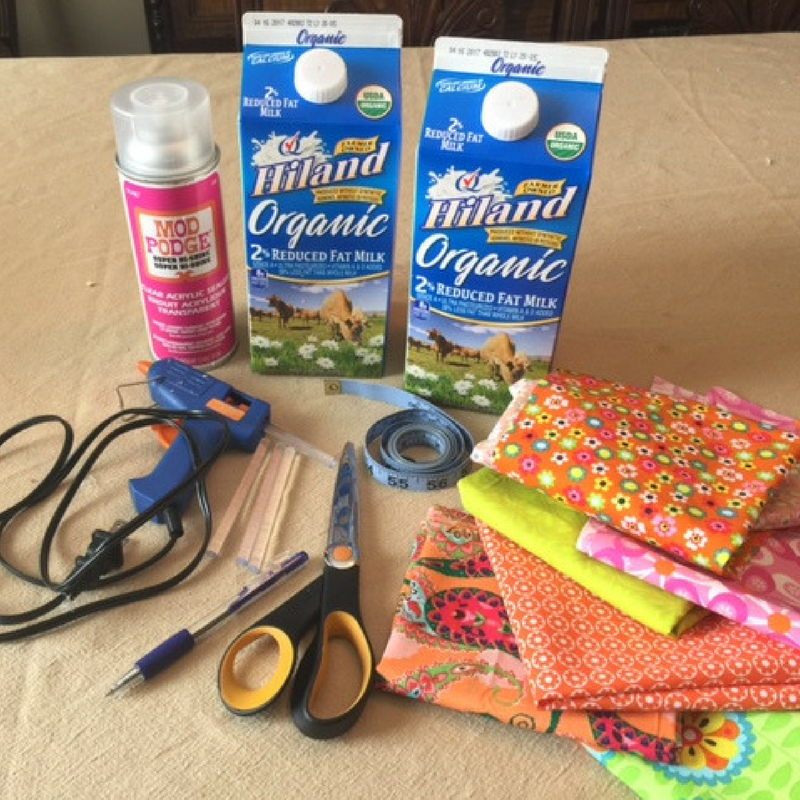 You can speed up the process by gluing one piece of fabric completely around each carton.